I have seen over and over the blessings of the Holy Spirit in the quality of people that work at the Center. Continuing that tradition, I would like to introduce you to three of our most recent blessings: Christina Blebea, Clare Morrison, and Natasha Hansen. 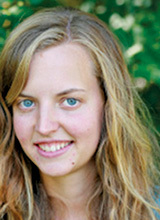 Christina is the new International Resource Liaison. She is a graduate of Boston College with a major in Theology and minors in Environmental and Hispanic Studies. 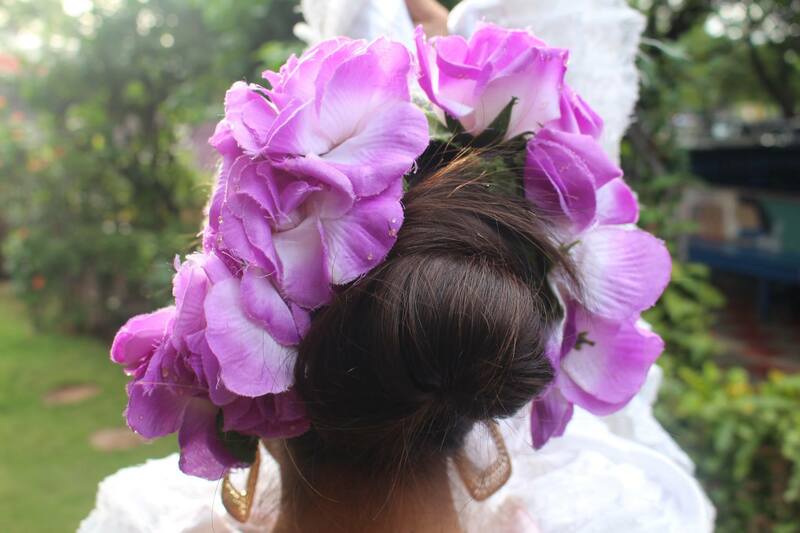 Part of her college studies included studying abroad in Costa Rica and Ecuador. 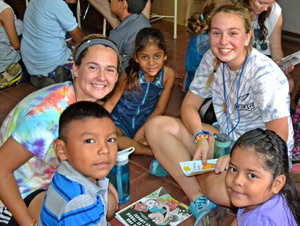 She has spent most of her time since graduation working in Nicaragua. She learned about the Center from attending Sunday Mass there. 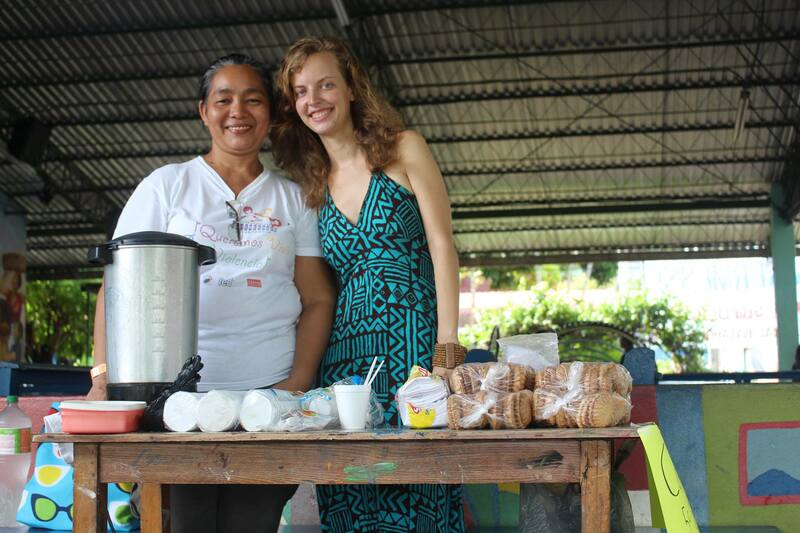 Christina will be the communication link between Friends of Batahola (FOB) and the Center. She will also oversee the FOB volunteers, coordinate visiting delegations, and help spread the word about the good work of the Center. 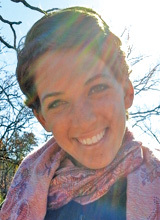 One of Christina’s prior co-workers used the phrase “joyful presence” while describing her. I am anxious to see her bring her joyful presence to the people of the Center. 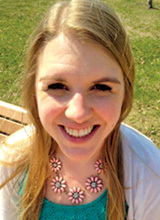 Natasha Hansen and Clare Morrison make up the fifth generation of FOB volunteers. Natasha comes to us from Arlington Heights, Illinois, and Clare from Wenatchee, Washington. 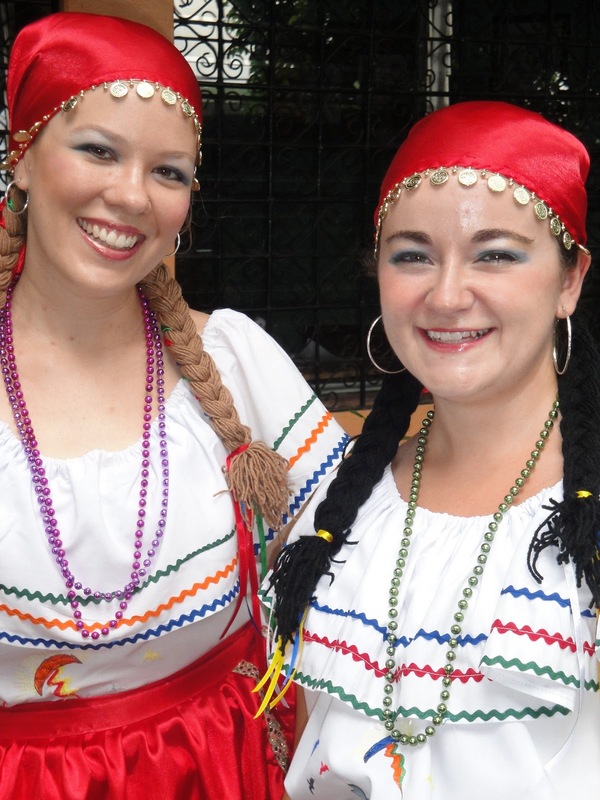 Both women have impressive international experience and are eager to get started teaching the English classes and working with the Center’s choir and dance groups, among many other responsibilities. You can follow their adventures at bataholavolunteers.wordpress.com. You can also read some of their initial thoughts in the welcome article on page 3. The Center’s six-week workshop helps women to set positive life changes in motion. 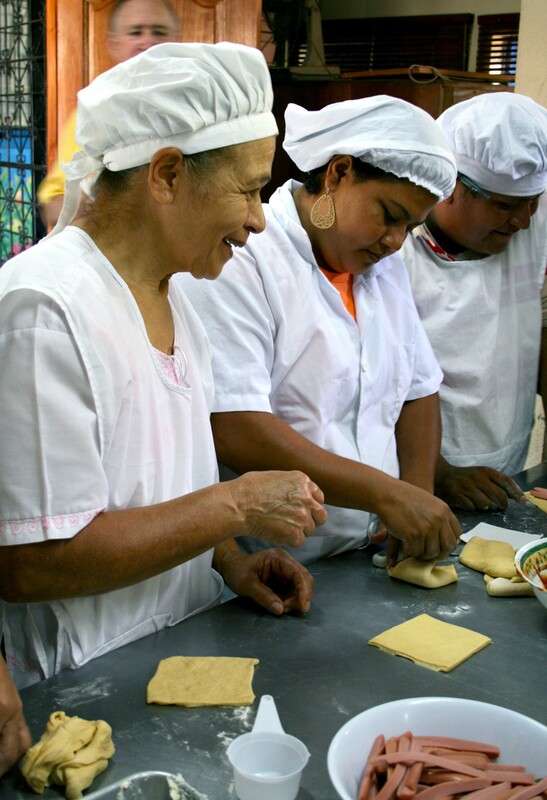 When women sign up for courses taught at the Center—like baking, cosmetology, or adult basic education—they qualify for a six-week workshop on personal goal-setting. The workshop is often an empowering and eye-opening experience for these women, many of whom have suffered domestic violence, have little education, and have never had anyone ask them what they’d like to do with their own lives. 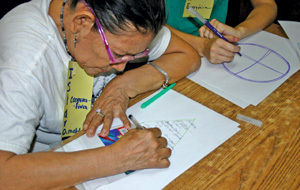 Workshops such as this one reflect the Center’s holistic approach to education. The Center is about much more than its individual course offerings. It’s about improving the lives of all who walk inside its doors. For this group of women, the Center provided the space, resources, and confidence-building the women needed to set positive life changes in motion. 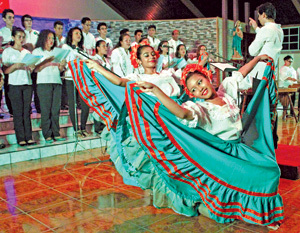 The Center’s Angel Torrellas Choir and New Dawn Dance Group performed at the Festival of Masses in Managua, receiving a standing ovation and three encores. 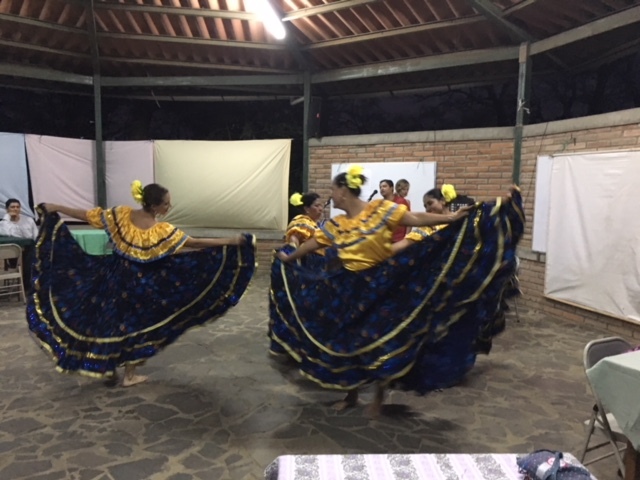 The Center’s Angel Torellas Choir and New Dawn Dance Group were participants at the Central American Festival, The Poor People’s God, in Las Palmas Church in Managua. 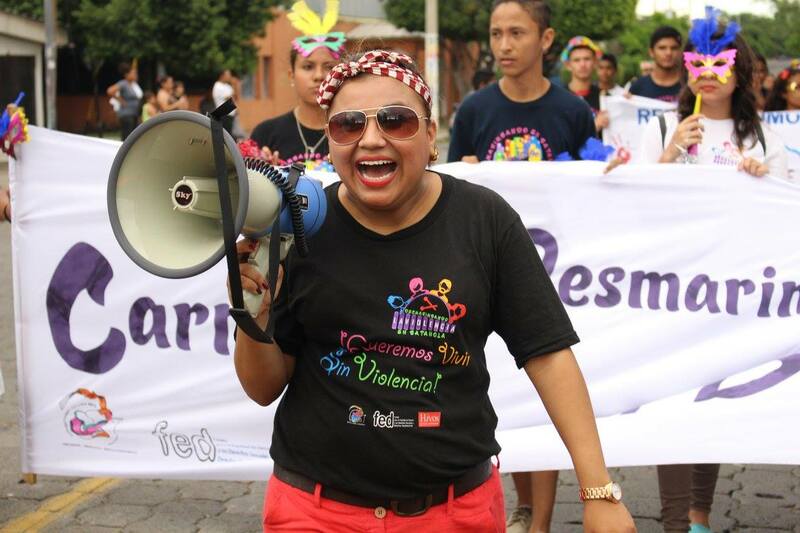 The festival was held in honor of the 40th anniversary of the Nicaraguan Peasant Mass, the 35th anniversary of the Salvadoran Popular Mass, and the anniversary of Archbishop Oscar Romero’s martyrdom and recent beatification. 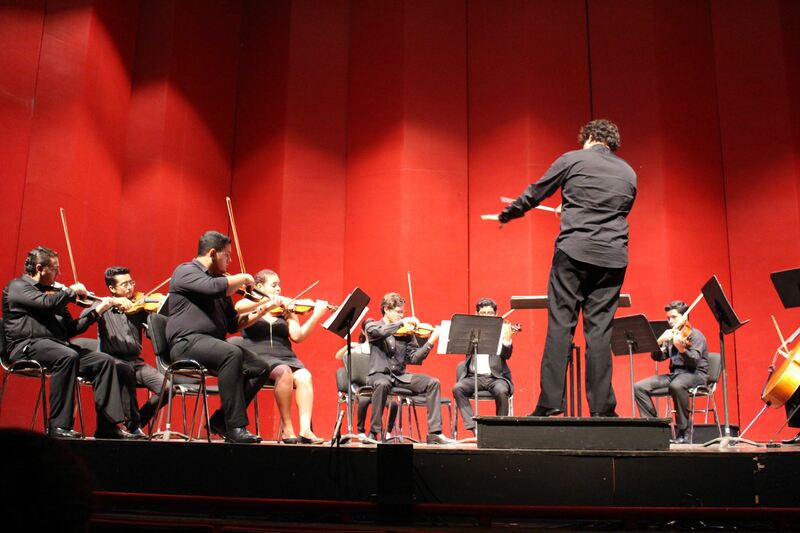 The music for the Masses was inspired by the social movements of the 70s and 80s in Central America. 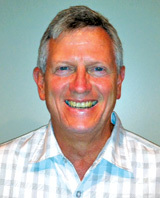 In the early 1980s, Father Angel Torellas, co-founder of the Center, was the first person to adapt the music for a choir. To know Mary Ann Antrobus is a gift that never ends. 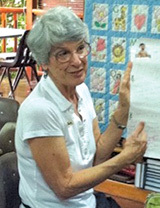 Mary Ann was one of the original board members of the Friends of Batahola (FOB), a friend of Sister Margie Navarro who was co-founder of the Center, and is the sibling of Sister Helen Prejean, CSJ, and current honorary FOB president. In 2001, Mary Ann was asked to be on the FOB board, and she said yes. When she was asked to be the Treasurer, she said yes again and began to learn the ins and outs of bookkeeping, as well as keeping up with donations and investments. Mary Ann continued her work as Treasurer until fall 2012 and continued to be an active board member until fall 2015, when other commitments required her to resign. Mary Ann played an active role in the lives of the women at the Center and stood in solidarity with them by making annual trips there, by making sure the women practiced self-care, by sharing her love of Louisiana cooking with them, and by committing personal resources to support the Center. Mary Ann will continue to be active with FOB in the years to come, and we thank her for nearly 15 years of being a good and faithful servant and FOB board member. It’s with great joy that we welcome Christina Blebea as the Center’s new International Resource Liaison, as well as two new Friends of Batahola (FOB) volunteers, Natasha Hansen and Clare Morrison. These three women bring a wealth of energy, talent, experience, and passion to the Center, as you’ll read below. I’m honored to be a part of an organization that I’ve long admired. 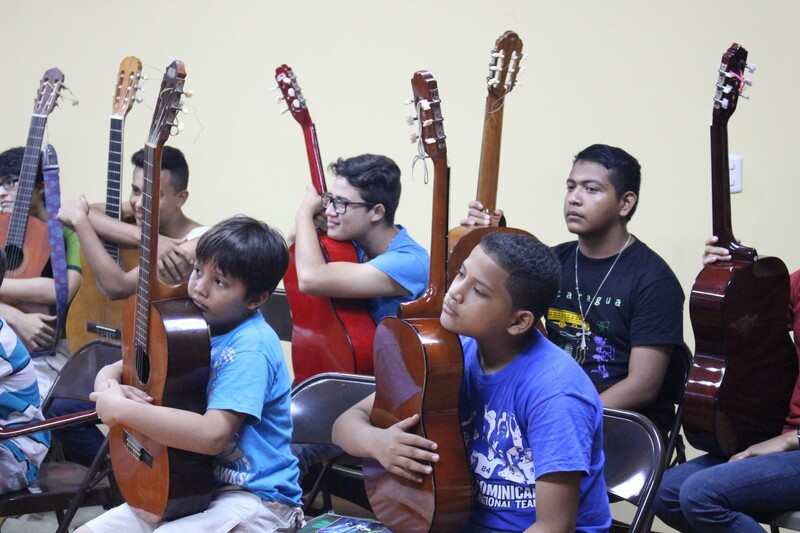 To immerse myself in the strong community that is Batahola brings me great joy, and I look forward to fostering lasting relationships built on solidarity and confianza. I began my first week at Sunday Mass, and it seems as though that spirit of a joyful, loving struggle for justice, engaged by a group of dedicated and united people, will pervade my time here. I’m excited to walk with you all in our efforts for Batahola. I’m very grateful to join the FOB team. I feel blessed to be surrounded by such talented and helpful community members, both students and co-workers at the Center. The work of the Center is truly beautiful. I’ve been busy wrapping up an English class, starting a trial English class for children, and accompanying two women’s leadership groups. My days are filled with hugs from smiling children, learning about the realities of people’s lives in the community, and laughing with co-workers. I’m grateful for all the support I’ve received and am excited for the adventure of these next two years! My first few months at the Center have been a blur of activity: launching a play-based English pilot class for students in the scholarship program, accompanying the women’s leadership group through a violence prevention program, and running an informal children’s craft group on Saturdays. I’ve also gotten involved with the choir and orchestra. Everyone has been incredibly welcoming and supportive. I’m very thankful to be part of such a tight-knit and caring community. Welcome to the FOB family! 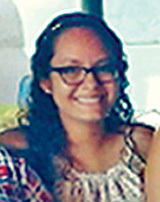 Yubelka is a 20-year-old psychology student at Central American University in Managua who completed the Center’s English classes, which were taught by Friends of Batahola volunteers, Sam Estes and Andrea Kraybill. It was in these classes that Yubelka discovered not only her love of the language but also the desire to volunteer, like her volunteer teachers. Yubelka said the English classes made her think about her future and the possibility of working as a translator. Because of her teachers, the classes also introduced her to the concept of volunteering, something she would now like to make part of her own life. Yubelka also dreams of completing her master’s degree in psychology, maybe in Canada, where she could continue to master her English skills. For sure, Yubelka is a student from the Center who’s on a mission of excellence! Together, we’re transforming lives through education. Friends of Batahola is a registered 501(c)3 not-for-profit organization. 97% of all donations go directly to the work of the Center. Maria (left), Odilia (center), and Diomedes (right) are one of many families reaping the benefits of the Latin Rhythms dance class…shared time together. At first, the Latin Rhythms dance class, which meets two evenings a week, was primarily a class for adult women. 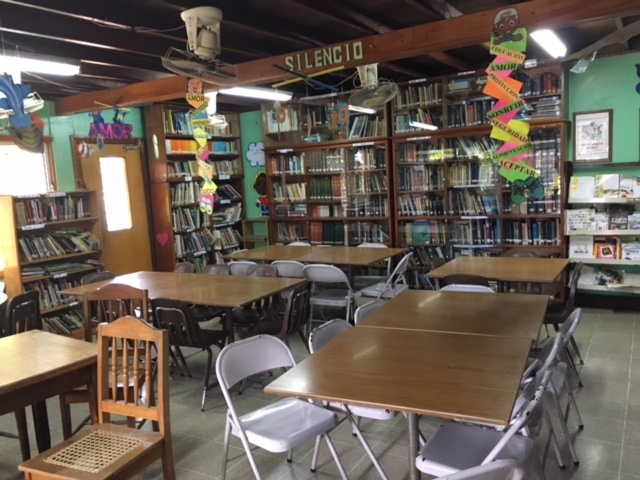 But, over time, a community spirit transformed the class into a safe place for families to gather and talk, with class members sharing their struggles and blessings…all while learning to dance! 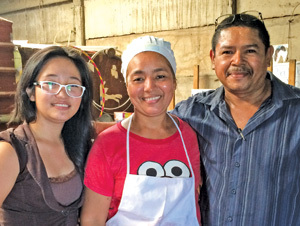 For Odilia, her daughter, Maria, and her husband, Diomedes, the class has brought their family closer together. Before taking the class, Odilia shared that her self-esteem was low. She said the class has helped her “to relate better as a woman with others and with her family through conversations and self-reflection.” She also notices increased self-confidence in her 14-year-old daughter. For her, Odilia said, the adult women have become good mentors and friends. For Diomedes, the class is a place to release stress, and he recognizes the love that each member of the group has for one another. He feels like a member of a close-knit community. Recently, when he lost his job, class members came together to shop, cook, and sell food to help the family. They raised almost $100. The group has done the same for other families in the class, as well. While a common interest in dance united these families in the first place, the class has created a strong bond among its dancers, a bond that goes well beyond their stage performances, and is shown in the love, care, and concern the families have for one another. This trip has bought a new definition to the word happiness. We’ve become so accustomed to having everything at our disposal, and, when it’s not, we get flustered. This trip has taught me or deepened my sense of self. It’s taught me that I can experience complete and utter joy and happiness just being myself and that that joy is so much easier to experience without all of the excess material goods. The people of Nicaragua have strengthened my hope in humanity. They are the most hospitable, open hearted and generous people, I will ever come to know and love. They helped me realize that if you are happy and full of joy everything will be okay. When asked, “How was your trip?”, no amount of words will do this trip justice. It helped me find my purpose, helped me appreciate the finer things in life, and help me experience God in a whole other way. I want to be as Christ-like as every single person I met in Nicaragua. 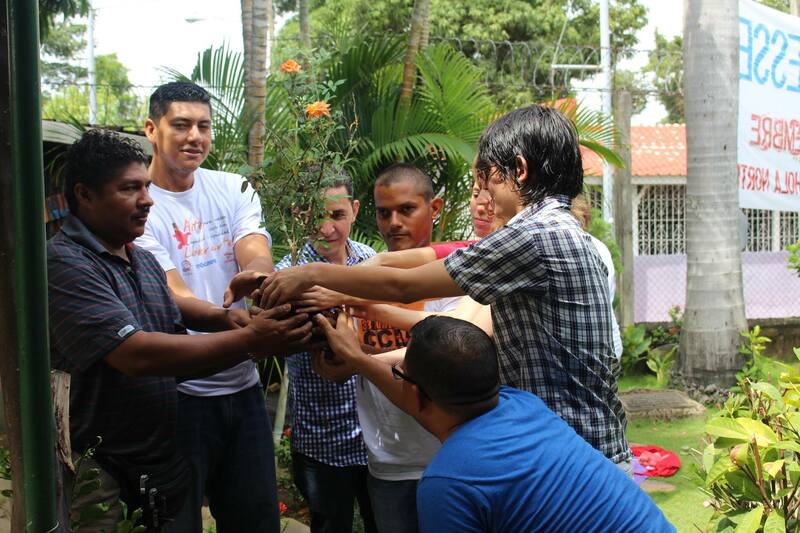 I want to live for the ability to be as strong and have the ability to love as much as the people of Nicaragua. There are no words to fully describe how absolutely eye-opening and powerful the trip was. The people living here have almost nothing but each other, yet that’s enough. Every person I’ve met has been so kind, open-hearted, patient and simply just full of life and passion. It’s so breathtakingly inspiring. I hope to take away the simplicity of this country with me. And the idea of finding God and beauty in everyone and everything around me. I hope to carry with me the amazing qualities I’ve seen in so many people here and to become that Christ-like figure in someone else’s life. I hope to continue taking time to step back and focusing on what’s truly important in life. I’ve learned how powerful it is to surround yourself with good people and that the little things truly do make a difference in the lives of others. I saw the face of Christ in every single child I encountered and these experiences and connections will stick with me forever. I really think that this trip has shown me God’s beauty in every single way. Also on this trip, I have realized how much I love meeting new people, and I think the quote, “A smile is the universal language,” couldn’t be any more true. Meeting the people at the Center gave me such joy because they always had smiles on their faces. They didn’t even have to be speaking, just the smile filled me with hope and love. On this trip, I expected to see suffering, but really on this trip, I saw happiness. This trip has been an eye-opening experience, and I hope that this will help me see God’s signs. He will show me and give me guidance to follow my dreams and do what I find happiness in. My time in Nicaragua has changed my life. It has broadened my sense of friendship, family, and community, but more importantly, I’ve learned what happiness truly is. It’s never about getting, but rather giving. It is giving someone your time, energy, and most importantly love. When the possibility of going on this trip opened up, I signed up immediately. I have told many, if not all, of the people on this trip that I have wanted to join the Marine Corps. I told myself that this would be a great opportunity to test my ability to serve others, because you cannot think about yourself in the Marines. I’ve always liked making other people laugh and playing with little kids. If I could make a difference in the lives of others on this trip, I would get what I wanted out of it. I have met many new people in this journey to become closer with Christ. When someone asks me, what I want to live for, the first thing that pops into my head is simply, God. He has been and will always be there for me, so it only seems fair to do something for him. Seeing all of the children’s faces and seeing them always happy whenever you see them. Almost all the people in Nicaragua are really nice, though it is the second poorest country in the hemisphere. It’s also nice to be able to practice my Spanish. It’s really fun to be able to communicate with these wonderful people. On this trip, I have become closer to God. This 10th trip to Nicaragua has filled me with gratitude. On this trip, I was able share the experience with two of my grandchildren. What an amazing gift! 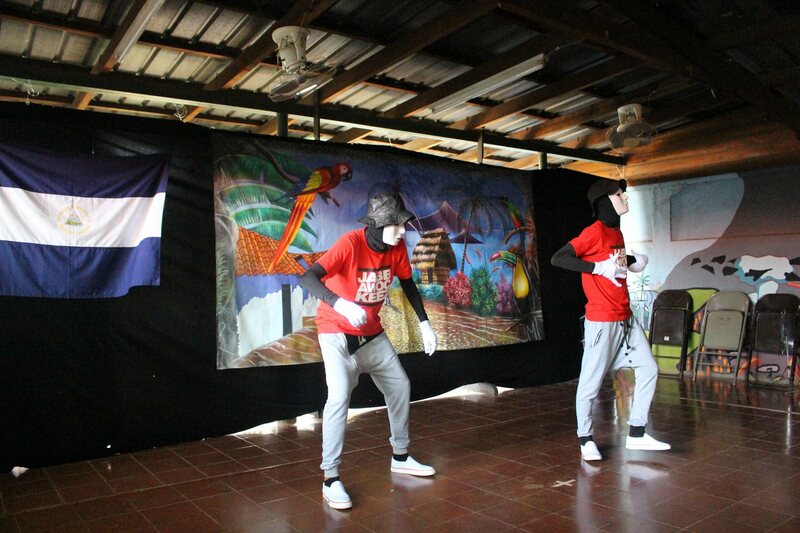 They were able to meet my friends and the people of Nicaragua. To be with them as they became aware of the larger world and its reality has been an incredible journey. To watch all of the young people on the trip take in and respond to all they have seen fills me with joy and hope for the future of God’s kingdom. When I told my colleagues and friends that I was going on a week-long trip to Nicaragua with 20 teenagers and not being related to a single one of the teens, well, you can imagine the response. Why indeed travel to a hot, impoverished nation to be a chaperone and use scarce vacation days from work? The prophet Micah writes that the Lord asks of us to act justly, love mercy, and walk humbly with our God. Sometimes following that advice seems a little crazy. 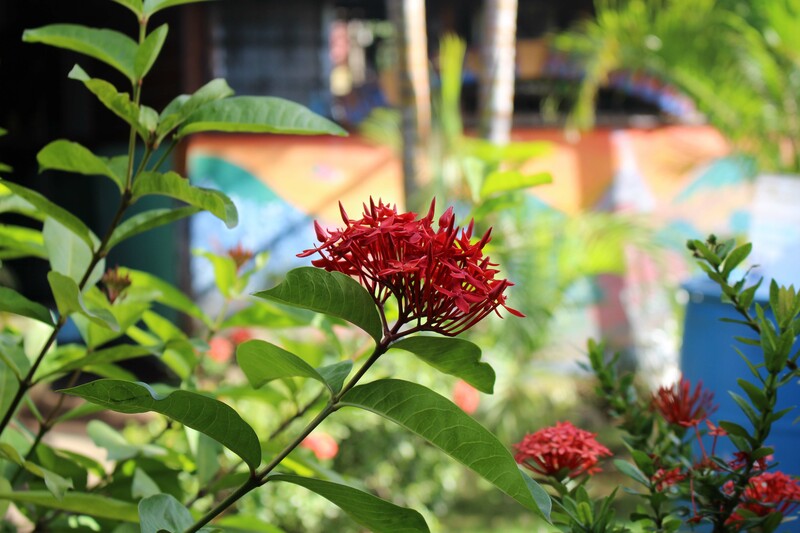 Supporting the Cultural Center of Batahola Norte is part of our family’s story. Being at the Center and getting to meet the dedicated staff and volunteers was like getting to see a favorite baseball team play in a stadium after collecting their cards for so many years. Or meeting a pen pal after exchanging only letters. Being surrounded by the warmth of the Nicaraguans who welcomed us into their lives and homes, working alongside teenagers who will continue to bring positive changes to the world around them, and admiring the leadership gifts of my in-laws and fellow chaperones all confirmed that the “crazy “ decision was the right one. I hope that I can carry the gifts of action and reflection from this trip to my home and family. I will live to be present for my husband and each of my children and to continue to foster in our home a love of God, empathy for people, and a calling to service. Read more reflections in upcoming newsletters!